A Chip Off The Ol’ Apple! Apple Chips! Autumn is a welcome relief from the oppression of a summer filled with too many extremely hot and humid days. Although the weather hasn’t fully dipped into temperatures that harken to sweater-wearing and fireplace-lighting, we’re fast approaching that delightful time. 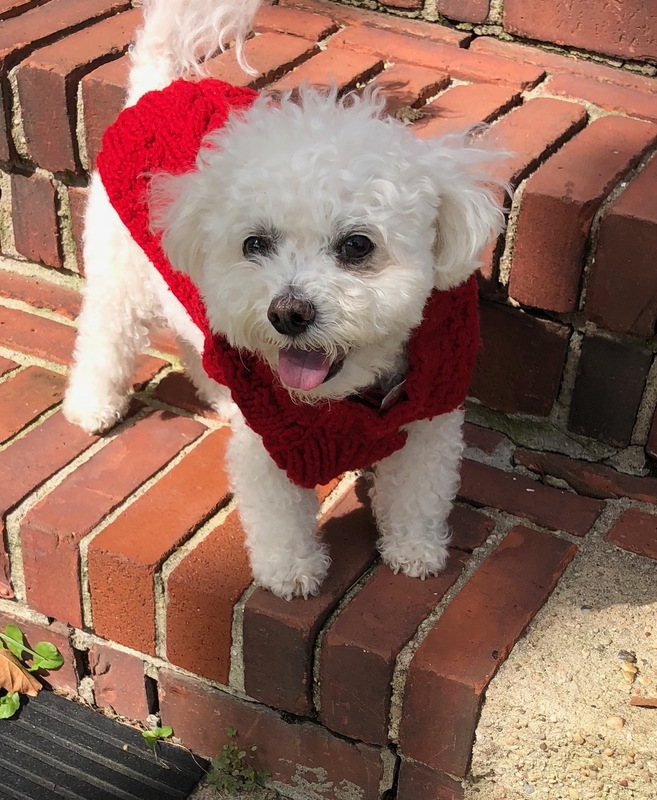 Apples… not only my friend Patricia Keating’s dog (I couldn’t pass up sharing her adorable face), but are a fruit that practically defines this time of year! Pies, strudel, baked whole, cakes, etc. would not be the same without them! I’ve been very health-conscious of late and looking to really limit if not fully eliminate added sugar. To that point, I’ve also been staying away from anything that gives a satisfying crunch. 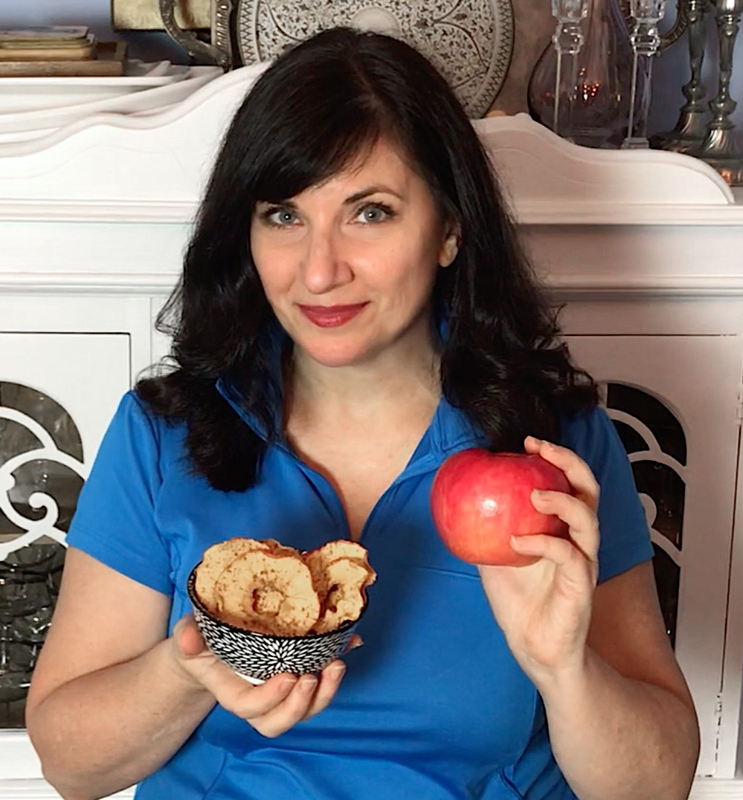 It occurred to me that the natural sweetness of apples baked low and slow could provide a satisfying crunch that can be just the snack or ingredient to transcend the usual choices. You don’t have to use a mandolin to cut the apples but if you’re like me, getting an even and uniformed slice is only guaranteed by this slim, inexpensive tool. 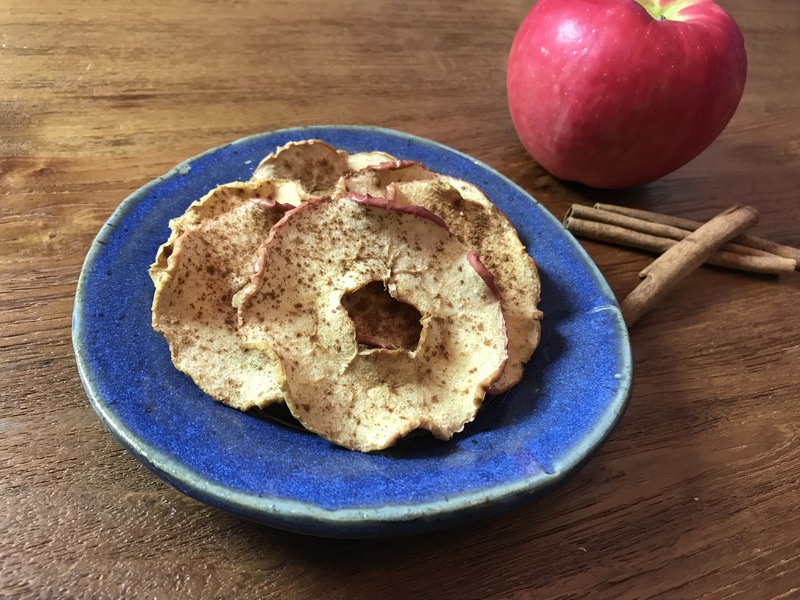 I’ve kept it simple with a sprinkling of cinnamon but you can season them with nutmeg, ginger, cloves, even a little chili pepper! They’ll be perfectly crispy and give you that crunch you crave. Store them in an airtight container so they keep the crisp. If you like them more chewy, just take them out of the oven a bit earlier. I love the versatility of them. Besides enjoying them on their own, you can use them to scoop up yogurt or ice cream and even take them savory and serve them with pork chops in lieu of applesauce. Crumble them, keep them whole… whatever you like. They’re a guilt-free treat you’ll keep on hand all year long! Wash apples and slice crosswise into 1/8” rounds. Arrange in one layer on a parchment-line baking sheet and sprinkle with cinnamon. Bake at 225° for 1 hour and remove from oven. Flip them over and sprinkle with more cinnamon. Bake an additional 30-45 minutes. Remove and let cool to get to full crisp. Store in airtight container to keep them crispy. « Cake for Breakfast! Carrot Cake Pancakes with Maple Cream Cheese Glaze!